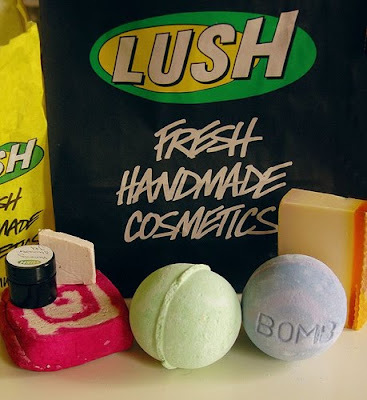 CLOSED: Fill out my Questionnaire - Be in with a chance to win Lush Goodies! So as many of you know, I am in my final few weeks of University! It has bee a very long and hard struggle, but the end is in sight. I'm currently working on my Dissertation - a huge final year research project that lots of final year students have to do. So heres the thing, I need your help with my research. I need as many of you as possible to take literally a few minutes to fill out my questionnaire. Also my best friend Karen who many of you also know is in the exact same boat, and if you could spare a few minutes to complete her survey too, we would both be eternally grateful. As a Thankyou for filling out our questionnaires, both Karen and I are going to hold seperate free prize draws to win a £30 gift hamper of Lush Products. All you have to do to enter is fill out the questionnaire, and leave your email address in the last question. Obviously if you fill in both questionnaires you are straight away in with a higher chance of winning the goodies! If you like you can let us know what products you would like, or we can choose some of our favourite products and send them to you. We will also post the prizes anywhere in the world! We both just want to show you all how grateful we are for you taking to help us with our research, and ultimately, helping us complete our degree! Enter both for you honey. Where do we tell you what products we would like ? Or when you email the winner of the goodies will you ask then? Done both yours and Karens. Good luck with the dissertation - it'll all be over soon! just did both questionnaires for you lovely ladies! hope it helps. I just did both questionnaires, good luck with your dissertations! Just did both! Good luck!